After the recent CS:GO update, Danger Zone, many users are reporting that the game is no longer stable, or simply refusing to boot, on their gaming PCs. As more user reports flood into threads on the Counter Strike Subreddit to report their issues, it has become increasingly clear the bugs are localised to systems running Intel iGPU graphics. 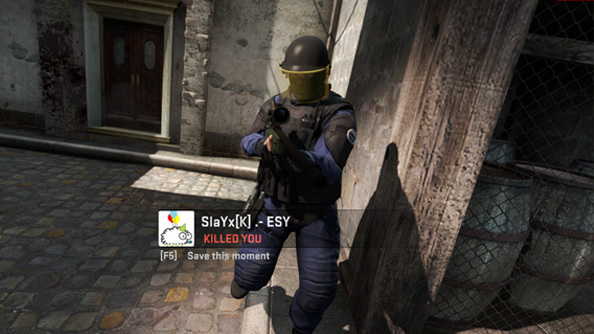 CS:GO is one of the more popular titles for Intel integrated graphics users, largely thanks to its tame hardware requirements. Even relatively under-powered integrated GPUs are capable of running the Source engine title quite well. However, since the latest update went live, users are reporting issues with on-die iGPUs failing to boot whatsoever. CPUs affected include the very latest Intel UHD Graphics found on Coffee Lake CPUs all the way back to chips from the Haswell era. Initially gamers reported similar instability issues, resulting in crashes or failure to boot, on a range of AMD graphics cards, too. This included the latest Polaris cards, Ryzen APUs, and older GCN-based cards. However, users are now reporting that this bug has been fixed by a small 11MB update rolled out by Steam this morning. The Danger Zone update launched last night and brings with it new game modes for the incredibly popular title. CS:GO is now free-to-play, a monumental change for the six year old title, although one of the biggest draws of the compelling new update is the inclusion of a battle royale mode: a 16 to 18 player fast-pace game mode on the Blacksite map. As you might imagine, the lure of the latest features doesn’t sit well with users now unable to play the game at all. While there’s no official timeline for a hotfix as of yet, one is expected to drop imminently due to the quick turnaround of the AMD patch post-launch. All the details of the CS:GO Danger Zone update are available over at the official site or through our trusty CS:GO update tracker – including the details on how this game is going free-to-play and what that means for existing CS:GO players. However, until Steam can roll out that hotfix, users on Intel-powered systems remain grounded.